You would be mistaken to think that what it takes to win in Formula 1 is simply great speed and amazing reflexes coupled with fitness. Yes, there are necessary raw materials for success. But in order for success to sustain itself, it often boils down to the kind of chemistry that a driver shares with his team boss. Isn’t it? In that regard, one doesn’t quite know the real equation between an F1 driver and his team boss. 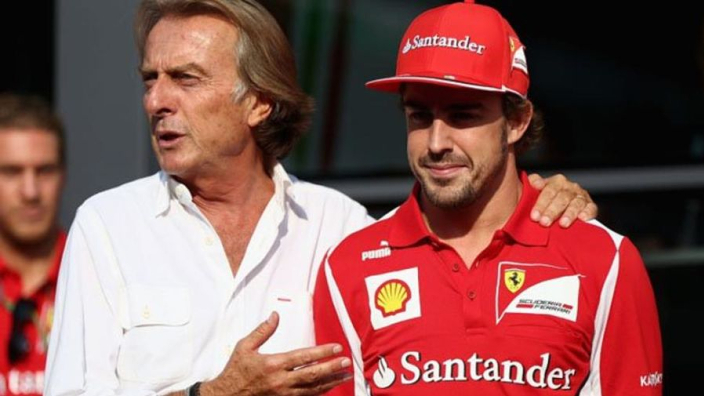 Can Fernando Alonso claim to know former Ferrari boss Montezemolo? Well, who knows? But here’s a point for contention. While at the outset, it’s pretty simple and easy to run down a driver and his team, it’s quite another to step into their shoes and examine their situation. Truth be told, you’d much rather be any other team at this point in time than be Ferrari, arguably the sport’s most famous racing outfit. Why’s that, but, you might wonder? Well, it hurts to lose right? And then, when you find no respite from the usual narrative- being beaten by the Silver Arrows comprehensively in Ferrari’s case- it is bound to hurt even more- correct? If you were someone who saw Ferrari in the recent years in their unsuccessful bid to beat Mercedes, then you would’ve registered something. That Ferrari failed to beat Mercedes in both the driver’s and the constructor’s championship wasn’t just the ultimate outcome. That they failed consistently for the past half a decade goes to show how badly they were they beaten by the table-toppers in the world’s most enigmatic single-seater racing contest. It wouldn’t increase the price of fish or reduce the carbon footprint in any developing country to recollect how comprehensively did Lewis Hamilton thump Ferrari’s, Sebastian Vettel. But before the Maranello-based outfit realized that even after favoring Vettel over an ‘aging’ Raikkonen wasn’t going to suffice to hold either the (Red) Bulls by their horns or the Mercedes, things weren’t that sullen. Back in 2010, a year where a famous Spaniard broke into the sport’s most glorious outfit, Ferrari did, after all, seem on song. How else are you going to define the menacing form that Fernando Alonso fetched Ferrari? In his maiden year of donning the famous blood-shot reds, Alonso went on to win 5 glorious races. Perhaps it may take an absolutely petulant critic or some irrationally opinionated fan to undermine the importance of one such Grand Prix victory; that stellar win in front of the Tifosi where Alonso popped open the champagne at Monza, in his very first appearance in a red racing suit. 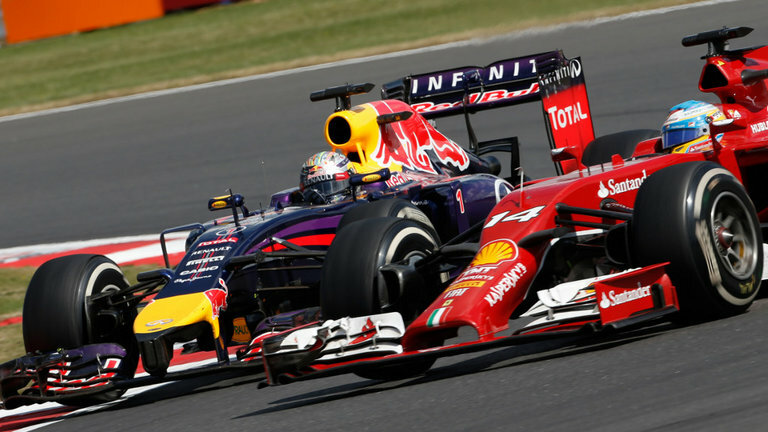 But, even as Fernando Alonso went from strength to strength, albeit losing to Vettel in 2010 by a margin as dainty as 4 points, followed by a 3-point deficit to the German in 2012, it did produce a simple result. That there quite literally was nobody other than Fernando Alonso who could stand up to Vettel became the narrative of those tumultuous pre-hybrid era years, circa 2010-13. And just what was this narrative that dominated F1’s headlines? 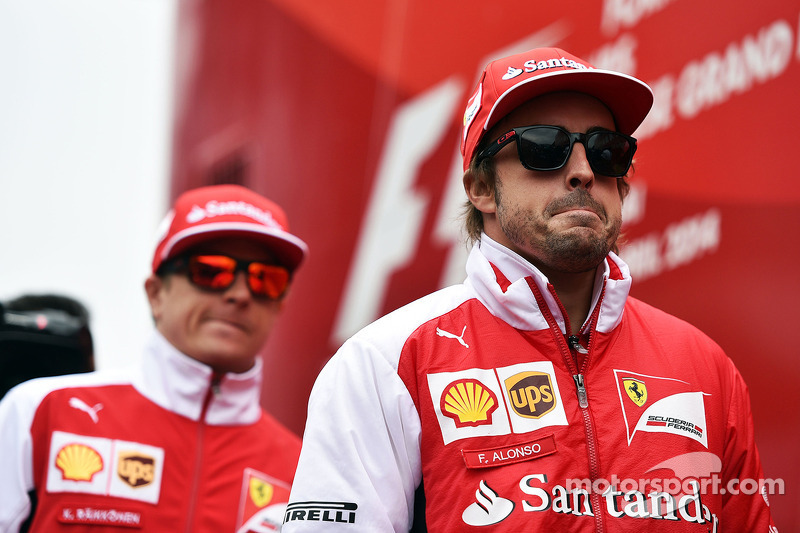 Well, the Fernando Alonso versus Sebastian Vettel show what else? Moreover, that Fernando Alonso grabbed 11 wins with Ferrari, and therefore, nearly a third of his career wins, clearly defines his superb success with Vettel’s current team, one with whom the German tangled in many a duel, whether in Catalunya or Sakhir. Against this backdrop, when one gets to hear that someone like Luca di Montezemolo has blamed Fernando Alonso for the defeats that Ferrari fetched of late, then one’s ought to be surprised, right? It’s something that does, after all, sound bitter in a way that’s inexplicable or indescribable. 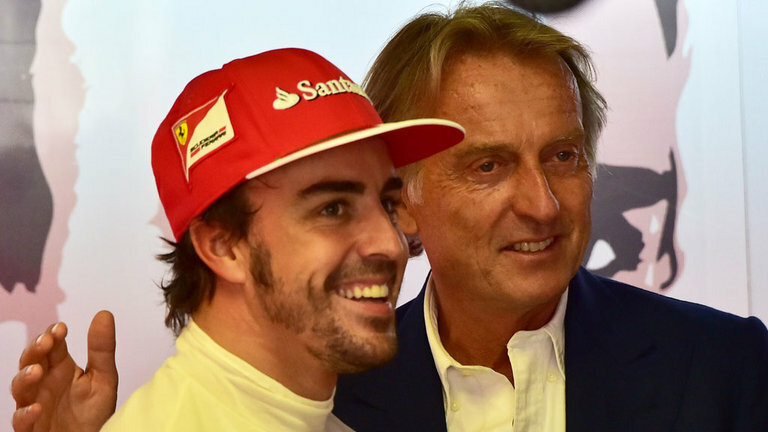 So what did Montezemolo exactly say in relation to Fernando Alonso? When he wins, he’s happy. When he doesn’t win, it’s the problem of the team, he’s unhappy. He’s less close to the team than Michael and Niki. If you are a Fernando Alonso fan or even someone who’s admired Ferrari for a while, having seen the sweat and toil that the Spaniard cheerily endured in a bid to beat Vettel in that indomitable Red Bull, then the feeling would be quite bitter. It would be akin to accusing an Olympic runner, someone who fetched joys for his country, of having taken a banned substance in order to win. It sounds shocking. It is ludicrous. It’s, quite frankly, worse than being stabbed in the back- is it not? After all, who’s to be blamed for the culture of defeats that Ferrari have so regularly been displaying? What sense- one is compelled to ask- does it serve to rekindle memories of an era that is not only not applicable anymore to anything that’s contemporary about F1 (at this point) and nor can it fill in the void that the Maranello-based outfit is so desperately seeking; the lack of wins. To Kimi Raikkonen- then making a return to the Prancing Horse- who gathered 55 points, Fernando Alonso clocked up 161 points; outpacing the famous Finn by a margin as wide as 106 crucial points. 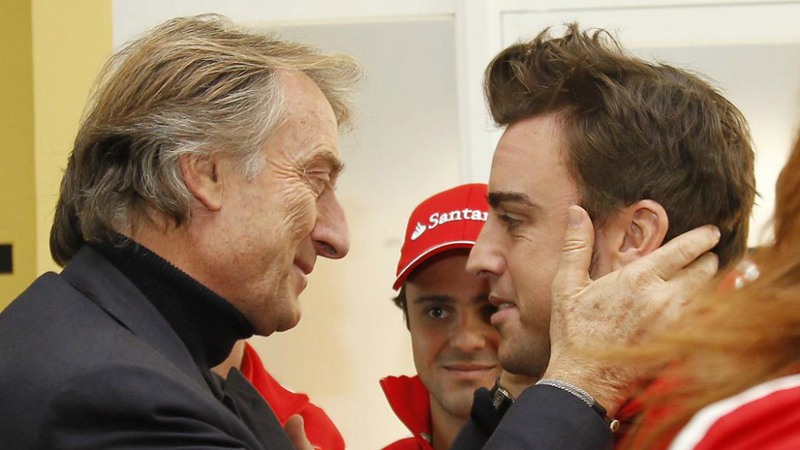 A question therefore to Mr. Montezemolo. Where were you when the former F1 driver single-handedly roasted Raikkonen? Where were you when Alonso lifted the ante of the competition in stoking some emotion in the sport (as only he could have) in snatching victories from the grasp of Red Bull during those halcyon days? Finally, what does Alonso’s character tell us; this being a driver who fashioned 11 wins from 2010-14 ever since donning the reds?